A vegan, a flexitarian and two meat-eaters walk into a restaurant… No it's not the beginning of a terrible joke, but it is a situation we're coming across more and more as veganism and vegetarianism continue to grow, and, let's be honest, it can make finding a great, suits-all restaurant for dinner feel a bit like mission impossible. 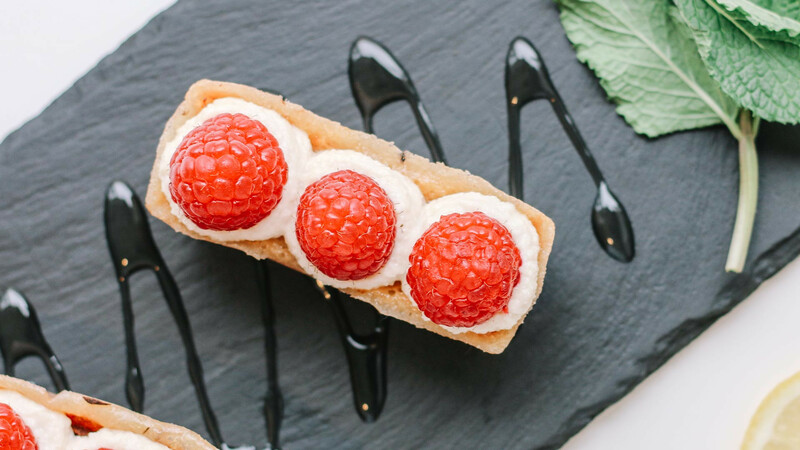 But don't be disheartened: we've made the job easier with this handy round up of restaurants that aren't totally vegan, but offer something for everyone. Book one of these babies, sit back and bask in your excellent choice. Well done you. Monday is a difficult day in the restaurant world. So much so, in fact, that many restaurants have used it as an opportunity to close down and give their staff a de facto full weekend. 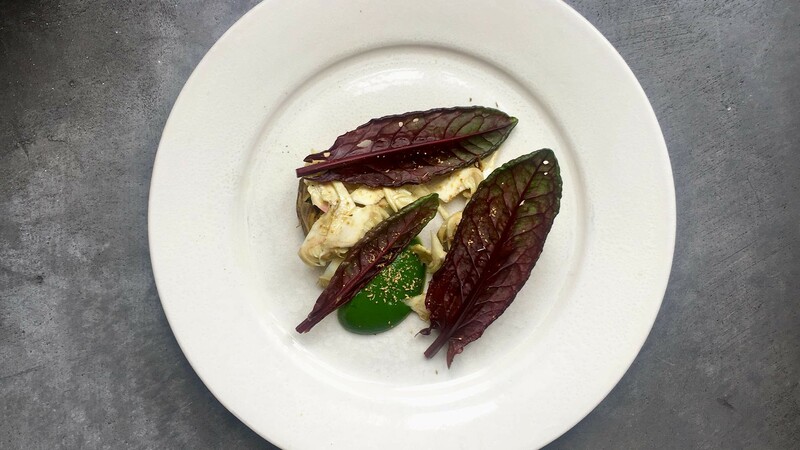 Another solution, though, is to put on a menu that caters for a different crowd, and Oldroyd – a brilliant neighbourhood haunt in Islington that serves up chef-patron Tom Oldroyd's brand of Italian and Mediterranean-inspired dishes – has done just that. Enter: Meat-Free Mondays – every Monday, the restaurant's menu kisses goodbye to meat and fish in favour of reimagined Italian classics. Some of it's just veggie (there's cheese aplenty in the life-changing gnocchi fritti we had when we went there, for example), but there are enough vegan choices there to make sure that you or your vegan friends aren't short of choice. And the food's so obviously delicious that your more carnivorous mate won't miss their meat at all. Honestly. 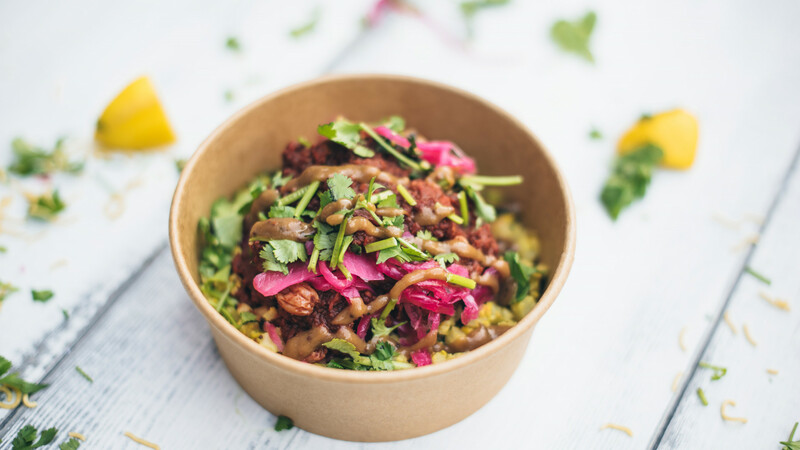 The lords of modern Indian spice at Rola Wala kicked off their entire offering with a vegan dish – red dal, made with beetroot and seven spices like cardamom, cloves, cinnamon and Kashmiri chilli. It makes sense, then, that the team still has a banging plant-based offering, with Keralan black chickpea with charred sweet potato in a coconut and tamarind sauce, and saagwala (made with spinach and other greens) with roasted garlic. But there's plenty of options to keep meat-eaters happy too, like nagaland lamb and Bengali-spiced beef, brisket cooked low'n'slow with fenugreek, fennel, nigella, cumin and mustard seed. 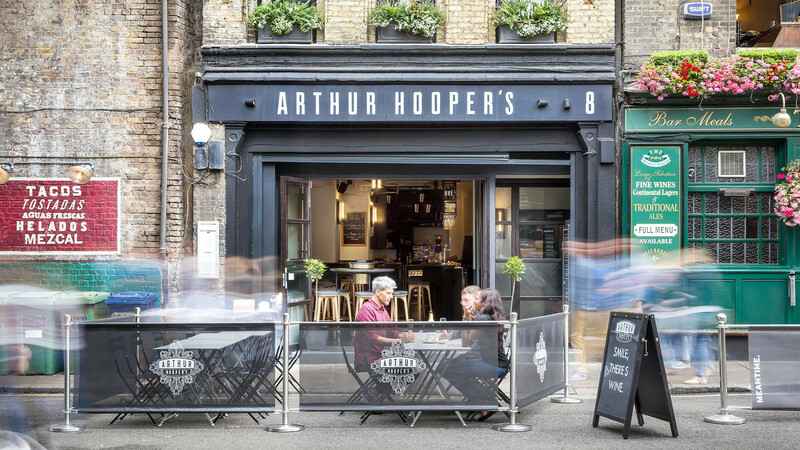 It makes sense that Borough Market is the place to go for fresher-than-fresh, locally sourced vegetables, and one of the best ways to sample said produce is to take a seat at Arthur Hooper's. Alongside its (frankly delicious) standard menu, the restaurant and wine bar offers a massive selection of veg-based dishes that sound tasty enough to tempt even the most dedicated meat-eater. Here's a just a selection to whet your appetite: crispy artichokes with courgettes, brussel tops and vegan chilli aioli; harissa butter beans, charred tenderstem broccoli and nigella seed; and roasted onion squash with lentils, turnip tops, roasted peppers and salsa verde. And if that wasn't enough, there's a shedloads of vegan wines to wash it all down with, too. Quinoa, potatoes… and utterly delicious purple corn dumplings, and fermented beetroot and seaweed mash. Yep, you might think you know Peruvian food, but prepare to have your mind blown by a range of ingredients you might not have come across before – particularly when it comes to Peru's incredibly diverse vegetables. The country has more than 4,000 kinds of native potato alone, so imagine what the rest of its natural larder is like. That said, you probably can't afford a flight to South America to find out, so head to Andina in Shoreditch instead, where Martín Morales and team have pulled together a menu that's more than 50% vegetarian, with the potential for most of these dishes to be made vegan. Tacu tacu Quechua (that's braised aubergine with quinoa tacu tacu pancake and tofu), we're coming for you. Oozy, golden, melted cheese is definitely up there when it comes to dishes that vegans miss, so finding a restaurant devoted almost exclusively to vegetarian and vegan grilled cheese sandwiches is like finding a pot of gold at the end of the rainbow. 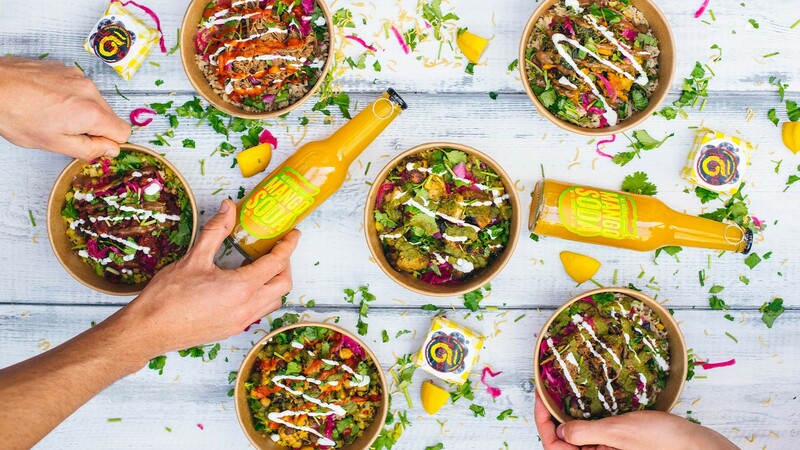 Founder Nidhi Sharma makes fresh sauces like coriander chutney and chipotle every day, also with plenty of fresh herbs and spices, which means her gloriously gooey creations are packed with flavour, whether they've got dairy in them or not. Pick up a spinach and artichoke sandwich slathered in chilli sauce and crammed full of vegan cheddar and parmesan, and we guarantee you'll go home happy – especially if you wash it down with the suggested vegan champagne pairing, too. 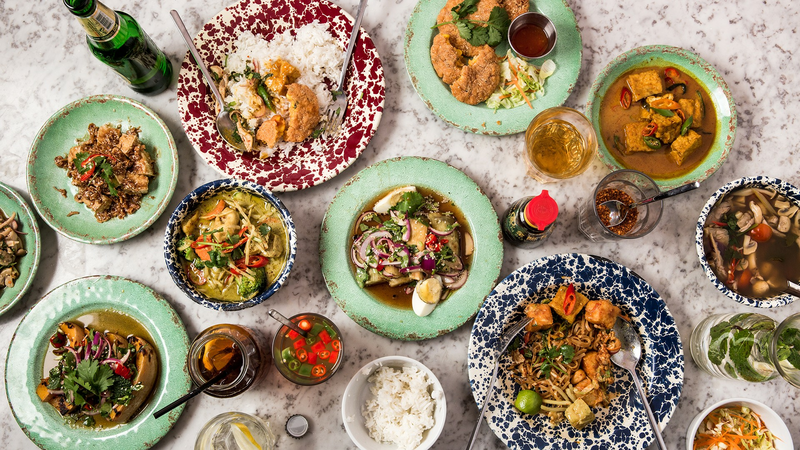 At the start of this year, Rosa's Thai Dean Street went completely veggie, turning out favourites like pad thai, stir fried aubergine and thai green curry totally meat-free. You can tuck into a couple of specially designed veggie specials, too. Our menu stalking skills suggest that the tofu satay, laab mushrooms, Panang tofu and tom kha mushroom soup, are particular highlights. But don't let us tell you what's what, get down there and try the stuff for yourself – before the three-month-long initiative is up. 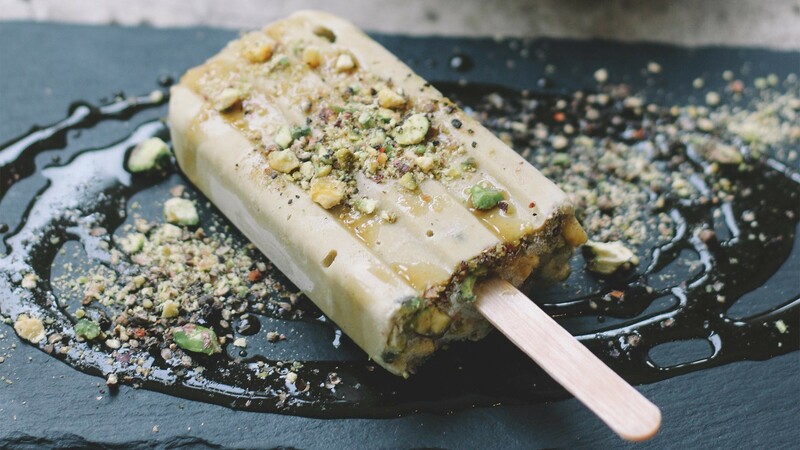 If there were an icon of London's vegetarian food scene, it would be Mildreds and its various central London sites. Its team proved that veggie dishes could be bright, perky and delicious – so it's no surprise that it's now doing the same for animal-free eating, with dishes like southern-fried vegan buttermilk and panko mock chicken with red cabbage, maple coleslaw, sweet potato fries and smoked chipotle dip. Mmmmhm. 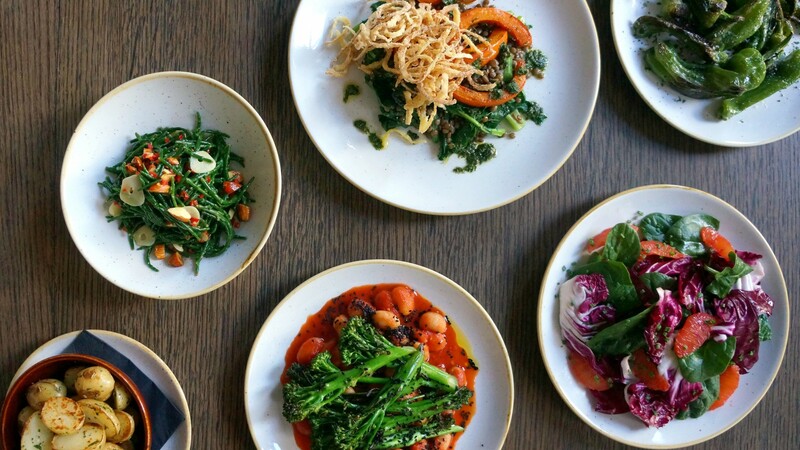 Yeah, we love Lyle's and its chef James Lowe simply because they're great, but we love them even more because they create a proper vegan menu every day to sit alongside their other offerings. As Lowe points out, "I've seen restaurants with set menus where vegetarians and vegans are charged the same but just given a salad. I don't think that's OK." What's more, this attitude carries over into the newly launched bar snacks menu, too. Amen to that. With white-washed walls and trailing greenery, Jusu Brothers' Westbourne Grove site is as stylish as they come, an ethos which carries over into the vegetarian and vegan menu. What we're going to focus on now, though, are the desserts: they're all vegan and they're all sell-your-soul delicious (and they're all healthyish too, but you didn't hear that from us). Lemon pie, made with coconut oil, cashew cream, agave and raspberry, is palate cleansing and moreish, while the BRAWnie – with walnuts, almonds, brazil nuts and hazelnuts – is absolutely everything the perfect brownie should be. Sweet tooth, us? Nah. 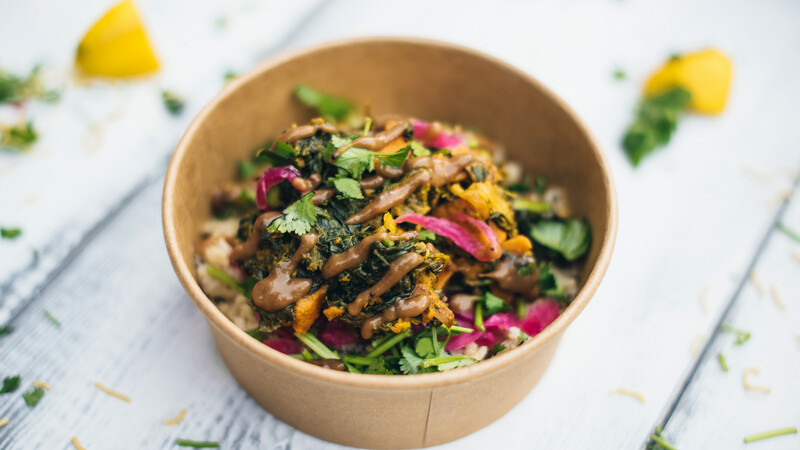 OK, so this isn't a restaurant, but hear us out: St Giles Hotels – which runs a hotel in Bloomsbury, one at Heathrow and several more around the world – has decided to offer BOL's plant-based salad and soup pots on its room service menus in the UK. 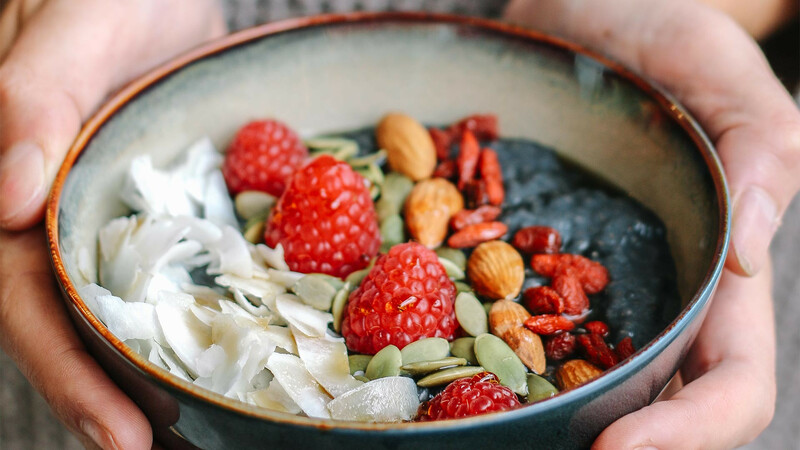 That means you can check in, kick back and relax, safe in the knowledge that you can eat a great-tasting vegan meal packed with fresh ingredients, like Thai coconut curry, Sri Lankan sambar and tomato and lentil soup. Easy. It usually sets off warning bells when a restaurant spreads itself across several different cuisines. Not so at Foley's, where a menu inspired by the Spice Route brings together flavours that span the Mediterranean and northern Africa, reaching all the way to China and Japan. And this year, Foley's kitchen wizards made their lives even harder by deciding to make veg-based cooking their main focus. That means you'll find dishes like celeriac bang bang noodles with fermented tomato broth, and grilled cabbage with tamari, peanuts and coriander pesto taking top billing on the menu, while meat dishes – char siu roast lamb with grilled mochi flat bread, for example – get the same delicious treatment, but don't take centre stage.